2013 was a great year of reading for me! I managed to open 350+ books and complete 253. About 8 years ago, I completed about 300 books and that's a record I will most likely never surpass; until retirement at least. This year, I had 2-4 hours down time at my job where I could read, until I was laid off in March. I spent the next 5 months on unemployment, being a stay at home dad, and full time job seeker. But after those responsibilities, I still managed to have ample time to read, and it helps that if I am enjoying a book, I can read very quickly, sometimes 100+ pages per hour. My reading has slowed a bit now that I am employed full time. My 2014 goal is scaled way back to 75 books due to planning on beginning a career as an electrician. I began 2013 reading suspense/action books by authors like Lee Child, James Patterson, James Rollins, Daniel Silva, Steve Berry, Harlan Coben, and Dan Brown. This was a carryover from 2012 when I became addicted to this genre. Then, while browsing Amazon.com I came across The Crown Conspiracy, by Michael J. Sullivan. Reminiscing on my 80's fantasy experiences with C.S Lewis' The Lion, the Witch, and the Wardrobe; my 90's reading several Terry Brooks books starting with The Sword of Shannara and all of J.R.R. Tolkien's Middle Earth books; and my late 2000's rereading and finishing the last 4 books of Stephen King's Dark Tower Series (read the first 3 in the 90's) which began with The Gunslinger, I decided to try some fantasy this decade. The Crown Conspiracy was an excellent book and I can credit it with renewing my original love for fantasy which due to a variety of reasons, I neglected for too many years. It included all my favorite elements in the fantasy books I was familiar with; magic and wizards, lore, world and character building, mystery, and questing. Next, I searched Amazon's fantasy bestsellers list and found Morgan Rice's book A Quest of Heroes, the first in The Sorcerer's Ring series, at the top of the list so I tried that and it sealed the deal. I would now catch up on all the best fantasy novels ever written! After scouring blogs and "best of" lists, Amazon, and Goodreads, I compiled enough essential fantasy to read for hundreds of years. I started to actually use my Goodreads account and create bookshelves and organize my reading. It was time to begin. I started with a modern paranormal fantasy book, Amanda Steven's The Restorer which I enjoyed a lot, then read a YA Classic The Golden Compass , which I loved, then read another classic Ursula K. Le Guin's A Wizard of Earthsea which although I struggled at times with a bit of boredom, I found to be beautifully written and imagined. my first experience with dark fantasy, or Grimdark (my favorite genre) was R. Scott Bakker's The Darkness That Comes Before. I actually loved this book, the plot, the story, the darkness, the philosophy; but the people names were horrible and I stopped reading it due to that alone. I will read it again! I tackled Terry Goodkind's Wizard's First Rule and it wasn't terrible but it was a DNF. I absolutely loved The Broken Sword, by Poul Anderson which is one of the best written books I have ever read. I read my first Michael Moorcock book Elric: The Stealer of Souls which is kind of a compilation of Elric strories and I wasn't overly impressed but enough so to try some more soon. Then I read David Gemmell's first Drenai book Legend and he took my love for fantasy to a new level. This is still one of my all time favorites. It has elements that I found later in the year in another series to have been perfected; world history (lore), violence, writing, and philosophy. I have read about 14 Gemmell books now and he is one of my favorite authors. The very next book I read was Joe Abercrombie's book The Blade Itself, the first book in his First Law series and realized that is the kind of bookI have been searching for. I read up on Grimdark books after realizing my taste went from enjoying standard questing and "coming of age" books, to mature, violent, dark epics pulsing with living characters who exhibit real moral conflicts, where there are no "good guys", where you root for a character who is evil, because he is less evil than the others or you see the genuine conflict of wanting to do the right thing versus a lifetime of evil and selfish choices and behaviors so embedded that it is nearly a miracle to help someone or be kind. I learn about the deep selfish and evil nature of man through these works. To me, they are philosophical tomes about reality. They are stories that can teach us that life is mostly gray and a lot more complex than most people realize. They cause me to think and emote while reading; not just escape reality. They bring me closer to reality. Next up of the Grimdark's, I read Brent Weeks The Way of Shadows and Scott Lynch's The Lies of Locke Lamora both of which immediately went into my reread pile. Scott Lynch's third book, The Republic of Thieves was amazing and is reviewed on this blog. After a few other books it was time for the boss and proginator of Grimdark-George R.R. Martin's first book of his A Song of Fire and Ice series, A Game of Thrones. After reading that, it was obvious why it was made into a T.V show and is considered a masterpiece of fantasy. His following two books were near perfection but I was disappointed in A Feast for Crows. My first Glenn Cook book went great, The Black Company, which is the first in a series, I read Brian McClellan's debut book Promise of Blood, the first of a series which I thought was brilliant and could not put it down. And then a book rocked my world. Mark Lawrence's Prince of Thorns, the first book in The Broken Empire Trilogy. I was bookmarking nearly every page to go back and reread it was so beautifully and perfectly written. The philosophical insights were staggering, like I was back on a philosophy reading binge reading Nietzsche, Schopenhauer, Cicero, Plato, etc. The characters were so real and so complex I spent days visualizing them and thinking about what made them tick. The lore is amazing and the magic subtle enough that it leaves a craving for more. I despaired to ever write a book, because if I could write a book, this is what I would like to have written. I also despaired to ever read a book as fun and perfect as this. I wanted to freeze my reading at this point; I felt all books would fall short of this and I would use this as a measure for all future books. Luckily, there are two more books in this series, both of which I have now read, both which blew me away. After reading King of Thorns I had to take a 5 day reading break I was so blown away. And the last book, Emperor of Thorns far exceeded my expectations for the conclusion. I also dove into the Forgotten Realms world with R.A Salvatore's Homeland book and have subsequently read 15 Forgotten Realms books including Paul S. Kemp's Erevis Cale Series which started with Twilight Falling and his The Twilight War series, starting with Shadowbred , both series which I loved and rank among my favorite books of the year. Salvatore and Kemp are excellent writers and their following is well deserved. I also started reading in the Warhammer universe with Nathan Long's Battle for Skull Pass which I enjoyed and I have now read 13 total Warhammer books, including Blood for the Blood God by C.L Werner, now an all time favorite book and also Heldenhammer by Graham Mcneill another book which is incredibly written. A little later in the year I read my first Warhammer 40K book (where the term Grimdark came from "In the grim darkness of the far future, there is only war. "), which was Horus Rising by Dan Abnett, which was staggeringly good and ranks among my favorite all time books. I have since read 26 books in the 40K universe, most of which I thoroughly enjoyed, especially Ravenwing by Gav Thorpe and Soul Hunter by Aaron Dembski-Bowden. All three of these series of books feature high quality fantasy books, with mostly excellent writting from what I have experienced. Because of Goodreads, I have been able to weed out some of the more than likely poor quality books based on near universal disclaim. Not to say that they can't be enjoyed but as I enjoy very well written books (generally) I don't like to read poor writing. Just a few more; Steven Erikson's first book of the Malazan Book of the Fallen series, Gardens of the Moon, an excellent book with some of the most imaginative fantasy I have ever read and one of the most well written. A bit long for my taste (I prefer under 400 pages) and too many names and minor characters but well worth it. One of the most well written books I have read in my life was Patricia Mckillip's The Forgotten Beasts of Eld. The Name of the Wind by Patrick Rothfuss is another books which lives up to the hype and is very well written, however I don't think he is far and away the best fantasy writer as many make him out to be. That leads me to The Ocean At The End of the Lane by Neil Gaimen which I thought was a good book but certainly no masterpiece. I am no expert but I don't really understand the Neil Gaimen hype. He is a very good writer and good storyteller but I could name 10+ authors that I believe blow him away on both measures. He has yet to hook me with a book and I have DNF'd several of his books. Also read was Andy Remic's Kell's Legend , the first book in The Clockwork Vampire Chronicles and it was great! Super violent, dark, and hugely imaginative. The whole series was excellent. I read the complete Corum books by Michael Moorcock, the first book was The Knight of the Swords and finished The Elric books finally, most of which I loved. Moorcock is an excellent writer and has become one of my favorite authors. Of the same type as Moorcock, I read some Roger Zelazny, Fritz Lieber, Jack Vance, Lin Carter's Thongor and the Wizard of Lemuria which is an all time favorite, and Karl Edward Wagner. Some less well known authors whose books I discovered were Ben Galley, who wrote a trilogy called Emaneska, which started with The Written and it was very imaginative and well written. Shawn Speakman's book The Dark Thorn, Andy Gavin's The Darkening Dream, Daniel Polansky's book Low Town were awesome. 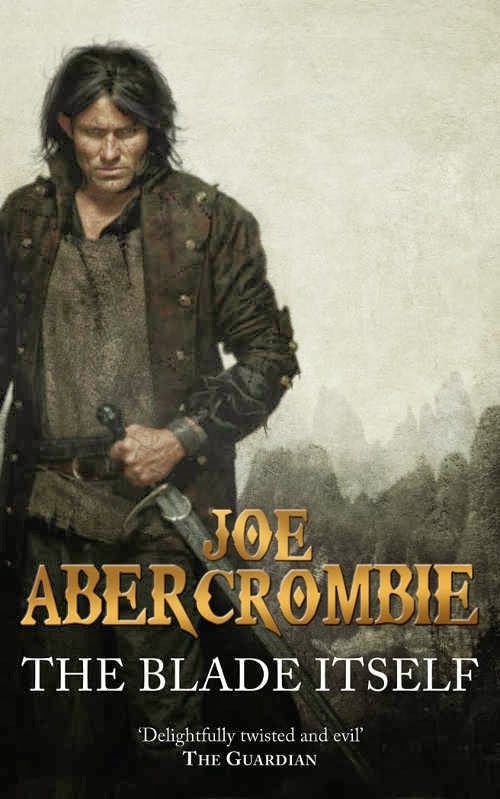 My favorite of these under appreciated authors is Rob J. Hayes, whose book The Heresy Within is gritty in the style of Glen Cook and Joe Abercrombie. A must read for fans. Many debut authors had excellent books as well. Snorri Krisjansson's first book in a series, Swords of Good Men, was great, as was Anthony Ryan's first book in the Raven's Shadow series, Blood Song , and I loved Luke Scull's debut novel, The Grim Company, Miles Cameron's book The Red Knight , and James A. Moore's book Seven Forges. There were many books in between, ones I will continue with the next in the series but not until I catch up with a lot of other books. Notable ones were Magician: Apprentice by Raymond Feist, A Dance of Cloaks by David Daglish, Lord Foul's Bane by Stephen Donalson, Storm Front by Jim Butcher, Hounded by Kevin Hearne, and The Ten Thousand. I completed all these and found them to have varying degrees of enjoyment but I had to put them on the back-burner for now. It wasn't all good. I started many other books and series that it would seem I would like but just couldn't get into most notably Brandon Sanderson's Mistborn books, Mistborn: The Final Empire , Peter Brett's The Warded Man, David Edding's Pawn of Prophecy, Brent Week's The Black Prism, Daniel Abraham's The Dragon's Path, and sadly Michael Sullivan's The Crown Tower. All these books were well written and seemed like they would appeal to a lot of people, but I personally couldn't get into them for various reasons. So in summary this was an amazing year for me. There are so many books I look forward to in 2014 that I'm overwhelmed. Coming soon will be my anticipated 2014 reading plan. Wow, what a stupendous reading year! Congratulations on landing employment too. Much I agree with here, and much that excites me :) Thanks for the Mark Lawrence words - have to resolve my omission of his work. Thanks Jason! I am excited about the Malazan books! I DNF'd Deadehouse gates. There were too many names and minor characters for me to keep track of. When I lose interest in a book I generally lay it aside for a season or two. In my most recent blog post I mention the third Malazan book as in my 2014 reading plan. I love lore in fantasy books regarding gods, ancient races, "old ones", heroes, etc and I read somewhere that Memories of ice is like an extended version of Elrond's Council from LOtR, a scene from that series I absolutely loved! So I hope that book hooks me on the series. I also read Esslemont's first book in Malazan which didn't blow me away (I think I gave it 3/5 but his next book is also one I anticipate to read and am excited about.